With Your Speed, Strength and Fitness? It is for tennis players over the age of 40 years that feel their fitness and conditioning is letting them down on court. Whether you are a SERIOUS tennis player or a SOCIAL player wanting to improve your game, whilst at the same time improving your fitness, this program is for YOU! Join the 1000s of Tennis Players over 40 years of age using off court training to improve their first step quickness, speed, power, reaction, balance and core stability. It is easier than you expect! We learnt from one of the best! 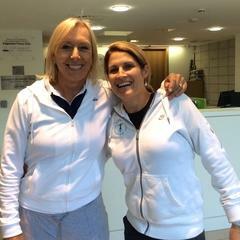 We were fortunate to train Martina, the oldest player to win a grandslam in 2003 at the age of 47 years! Through good fundamental training, injury prevention and the right attitude Martina showed us all that age is nothing that should stop us! Amongst the many life lessons Martina shared with us, she showed us that age should not stop you from improving, chasing dreams and bettering yourself. If you feel you are past it or it cannot happen, then its time to change! Having worked with Martina for 3 years, we know what it takes to improve and achieve at a mature age. “Nathan & Giselle Martin are the consummate professionals when it comes to tennis training. I had the pleasure of working with both Tennis Trainers Nathan and Giselle while on the tennis tour for 3 years and was truly impressed with their training methods and expertise”. Every year over 30, we lose muscle mass and strength! That is unless you do something about it! Use it or lose it cannot be any more true as we age. It's never too late to start! Gain your strength and maintain it with these easy to follow programs. If you don't do something now, you will look back and regret it. Lacking the ability to "Last" is a common issue as we age. Endurance and recovery play a big role in how we play and feel. Imagine having the ability to play longer with better stamina, recovery and concentration. It is reachable and easier than you think! These Endurance programs will turn it all around. 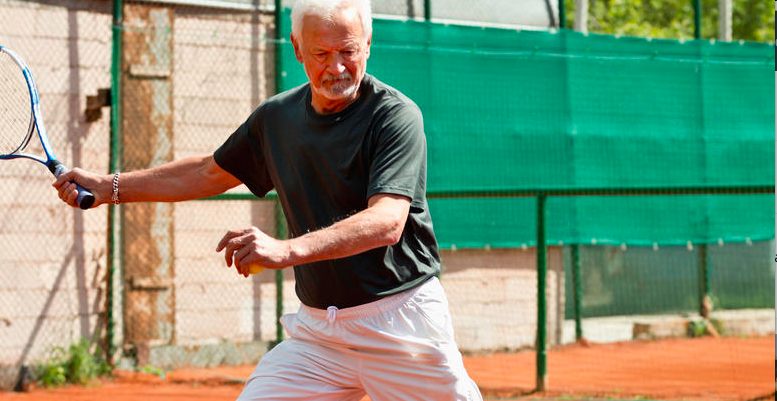 Did you know the majority of tennis players over 40 years old wait until they get injured before they perform any off court training. Don't be a statistic get started today. These mobility and injury prevention programs will assist in keeping you feeling better and pain free! Feeling slow around court? Struggling to get too those short balls? It can all turn around in weeks! 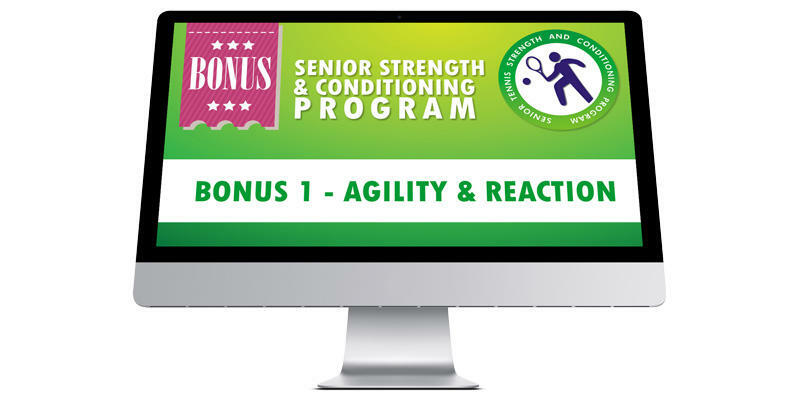 With these specific agility and footwork programs you will find yourself feeling years younger on court and have people wondering what have you done! Is your mobility letting you down? Feel you can get your body into better positions, recover quicker and find yourself stronger and more powerful at end range. You will be feeling 20 years younger as you find yourself getting into positions on court you never thought possible. Once you enrol in the Senior Strength and Conditioning Program, you will receive a 12 week world class training plan. Or if you want to work on an area of weakness eg Core you can follow with the Core periodised plan. There is a plan for whatever stage you are working towards. Your training includes narrative videos, images, charts, downloadable files and periodised plan to follow and more. Go at your own pace as you have 12 month ONLINE ACCESS to complete your 12 week program and then the option to renew after 12 months. All this with a 7 MONEY BACK GUARANTEE! You could be one of the 1000s of mature players scratching, shaking or even banging your head. Turn your embarrassment and frustration into confidence and success with these proven programs and system. 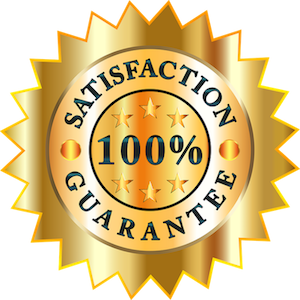 Nothing to lose MONEY BACK GUARANTEE. LIMITED TIME! This program will kick start your strength growth. You will develop a solid foundation and initiate a platform for the future. These fundamental resistance exercises will get you feeling stronger throughout your body as you learn how to move with control. 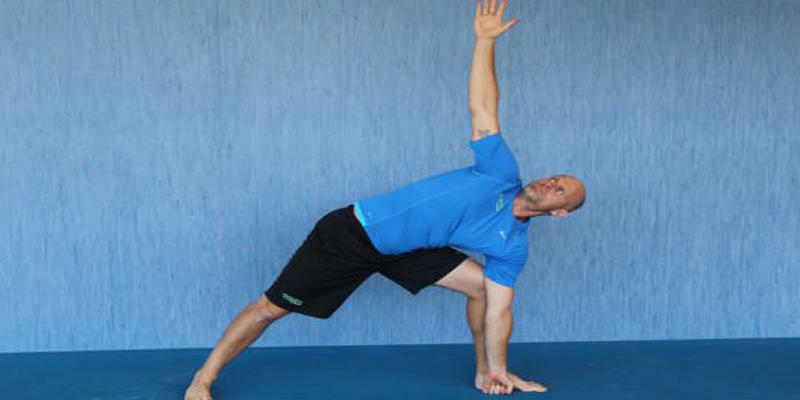 We have specifically chosen 7 yoga poses specifically for mature tennis players. By following these programs you will feel you can get your body into better positions, recover quicker and find yourself stronger and more powerful at end range. This program will increase your mobility throughout your joints. It is a fast track to preventing injuries and helping your body recover. You will break up adhesions, scar tissue and lengthen your muscles with these proven techniques. You will be swinging your arm above your head on your serve like you have always wanted too! 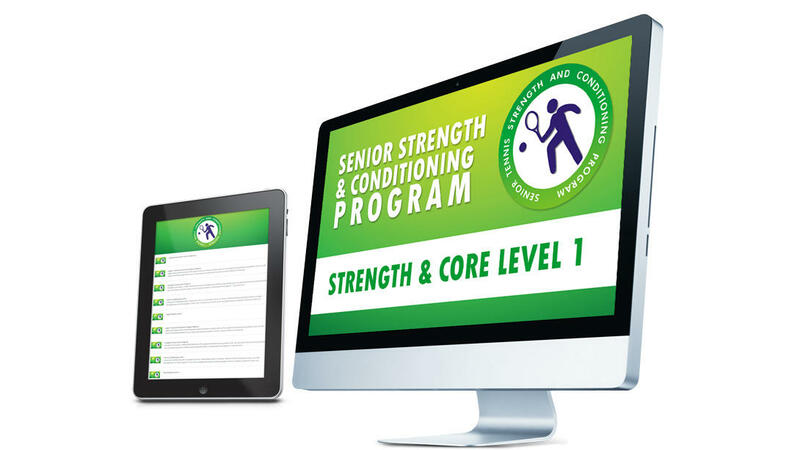 So you don’t plateau with your strength gains, we have included the level 2 Senior Strength Program. 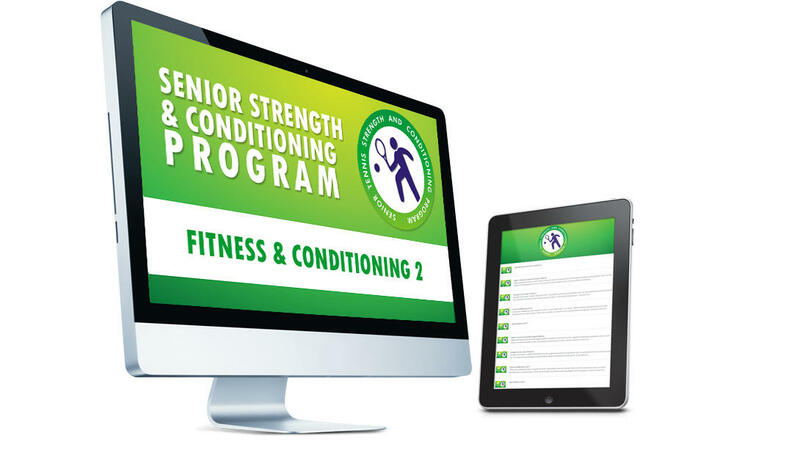 So you don’t plateau or get bored with your fitness & conditioning, we have included the level 2 fitness & conditioning program. Do you "Huff and Puff" between points? Having the ability to recover well and stay physically "Up" is a matter of doing the right training. Conditioning your body with intermittent training will have you bouncing around between points whilst others may wither away! This program is not about the slow running you may have done in the past. These modern, tennis specific endurance techniques will have you being able to continually repeat the same intense effort over and over again. This program really steps up the flexibility mobility and balance from level 1. This is where things really start to come together. You will be feeling 20 years younger as you find yourself getting into positions on court you never thought possible. To stop you hitting a plateau and to keep you motivated, we have included Senior Speed Endurance Level 2. This program is the missing link for most mature players. We have personally chosen specific exercises to boost your movement on court. By the time you get to this point you will be ready to pop! Improved first step speed and change of direction. This will be your time to shine! A step up from Agility & Footwrok Level 1. After completing this program you will have more confidence in your court movement and more time for shot set up. Focused on the right movements and steps for tennis,this program will have you realising you really can do it! Explosive movement, time and time again! There is predictable and unpredictable agility exercises. Its imperative that you implement some of these unpredictable agility exercises into your training program. Improve your lower body co ordination, balance, reaction time and help you develop effortless multidirectional speed. The beauty of dynamic movement exercises, is they open up the “chain of movement” rather than isolating a specific area or muscle. This is important to do before participating in any sport, especially tennis within its multidirectional ranges and loading patterns. Everyone has varying fitness & training levels & different goals. 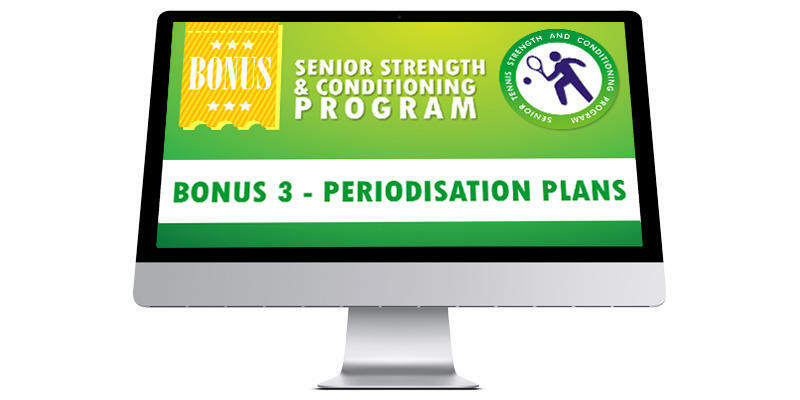 That is why we are giving you 6 FREE periodised plans that you can follow. Don't be confused in what you should be doing. Peak at the right time!! 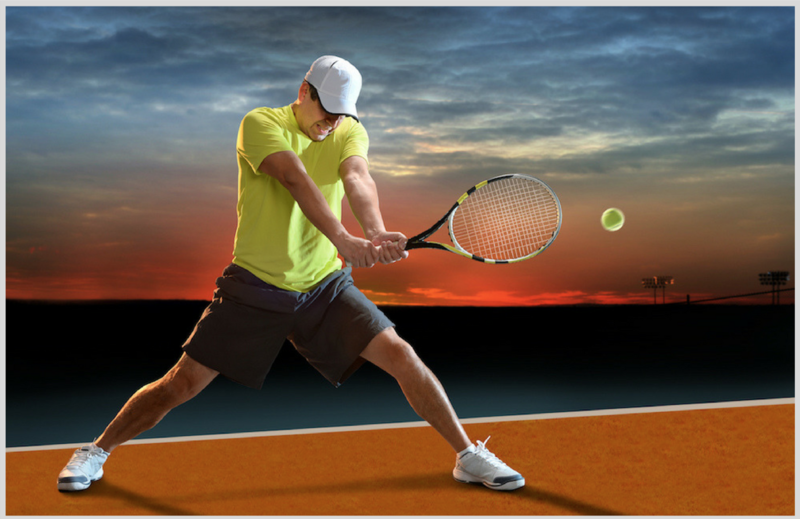 Get your tennis fitness training just right, so you don’t wipe yourself out or injure yourself. We know people are busy, so in order to ensure you utilise these programs, we have included 12 months access as we want you use them time and time again. 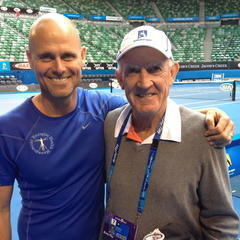 "“I have worked with Nathan the last few years in preparing Lleyton for the Australian Open. He had Lleyton in the best shape which enabled me to get the most out of him.”"
All you will need is a resistance band, dumbbells & a foam roller. If wanted a stretch/yoga mat could come in handy. Im 70 years old can I still do this program? Yes of course, all the exercises can be modified by using lighter weights, doing less sets and reps and reducing the length of time per drill with the on court training etc. Don't worry you go at your own pace. You can do all the sessions provided for the week or you can do just 1 or 2 session. It's totally up to you. As we age we know our body changes; reduced muscle mass, decline aerobic capacity, limited mobility & recovery etc. With this in mind we designed a program specifically to target these area's. How can I access the tennis senior programs? How often should I use the tennis senior programs?